← Need a Coach? Let’s Go Surfing! When Jan Robinson, Executive Director of Black Women for Wellness, asked if I could facilitate their upcoming Sisters in Control retreat, I said “absolutely!” Having coached Black Women for Wellness as part of Liberty Hill’s Wally Marks Leadership Institute, I already knew and had a deep respect for the organization’s work. Prior to the retreat, I interviewed five members of the group to get a sense for what they wanted to accomplish. Based on their feedback, we developed an agenda for them to develop a visionary goal and a path for moving forward together. 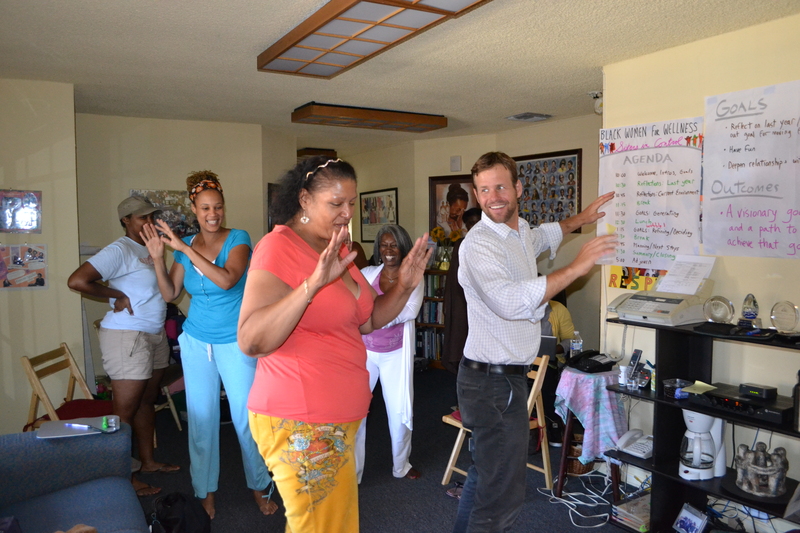 I’m very pleased to report we not only accomplished that outcome, but we spent a great day together full of engaging activities, meaningful conversations, powerful story telling, delicious food and some incredible dancing (pictured in the above photo…the wobble!). We started with a strong opening, with folks sharing a little bit about each other an their passion for the work of Black Women for Wellness and Sisters in Control. Using a gallery walk, we evaluated last years efforts. Using post-it notes, we scanned the environment they operated in. Using a “brainwritiing” game, folks had quiet time to generate ideas for goals and get feedback from others. Using small groups, participants developed possible areas to work on. Using some graphic facilitation, we talked about “going upstream” to change the culture. With more graphic facilitation and discussion and a lot of listening on my part, we prioritized some goals and action steps. Instead of asking what we needed to do next, we started with the “who” and had each woman share one action step for moving forward (did I mention I was the only man in the room…a privilege and honor to be in a room with such wise, passionate, committed, powerful women!). After reaching our goals, we had time to reflect as a group and celebrate our work together. All in all, the process and the people moved me. The day went by really fast. We had balanced, active participation from everyone. We unleashed our creativity. We got our bodies moving. We engaged in conversations around challenging topics. 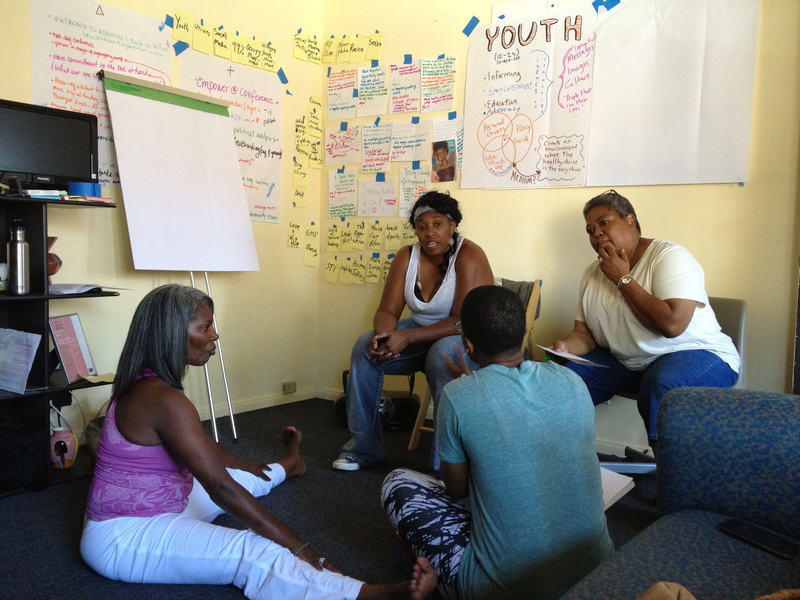 And finally, the group reached consensus on a visionary goal and steps to get there. 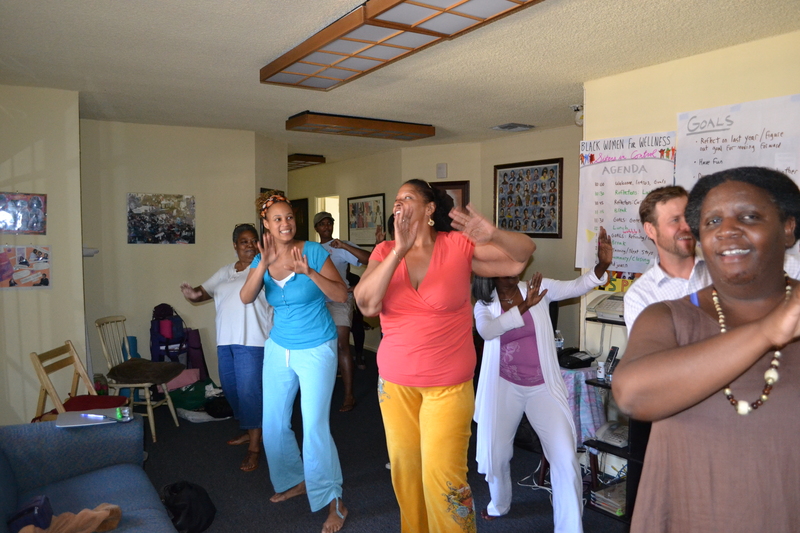 This is what an effective retreat is all about! This entry was posted in My Clients, Retreats and tagged #Nonprofit, Facilitation, Leadership, Retreats. Bookmark the permalink.